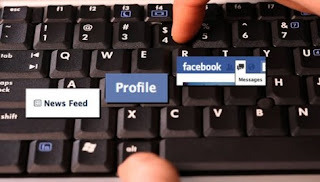 Facebook is also equipped with some keyboard shortcuts for functions such as messaging or simple search enables users can manipulate faster. Below is a list of functions and shortcuts. Alt + 1: Return to Home page. Alt + 2: Timeline Access / Profile of you. Alt + 8: Access Facebook Account Facebook’s official. Alt + 9: Access Policy and Terms of Facebook. Alt + 0: The counter of user support (Help Center) of Facebook. Alt + m: Open Directory Facebook composing messages. Press Alt + m to compose and send messages. Please note that with each type of operating system and browser are different shortcuts are also different. OS X: to use shortcut keys, you press the key combination Ctrl + Options for Chrome, Safari, and some other browsers, but with Firefox you press Ctrl + function . The Windows operating system is much more simpler: You just press Alt with Internet Explorer and Chrome or press Alt + Shift if you use Firefox browser.